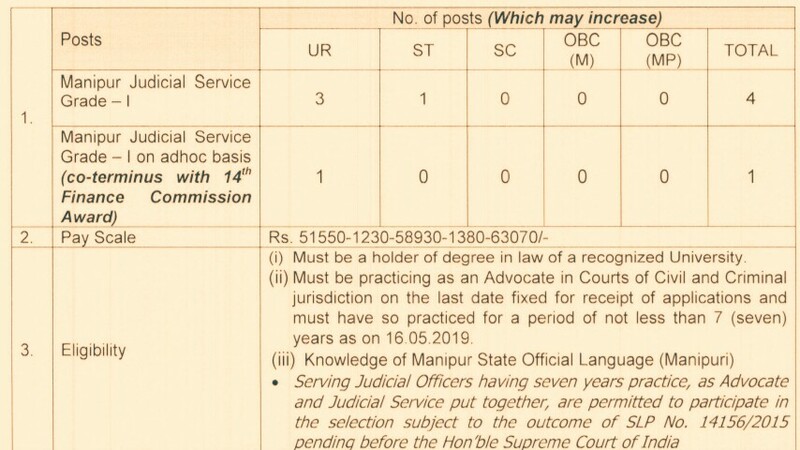 High Court Of Manipur, Imphal, Is Recruiting Eligible People To The Post Judicial Service Grade I. So Interested People Can Apply For This Job Through Online Process, From 25th Of April, 2019, 11:00 A.M. Onwards. Manipur Judicial Service Grade-SerMon Ad-hoc Basis. 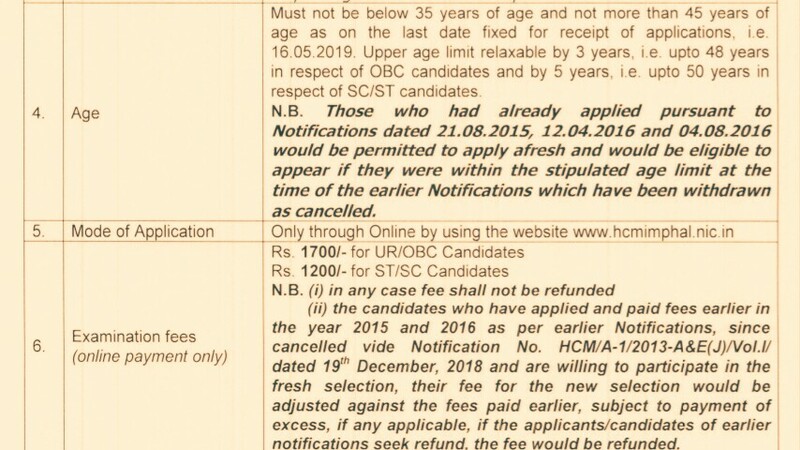 Kindly Do Check Out The Images Below For Eligible Criteria (Educational Qualifications & Experience, Age Limit, Application/Examination Fee, Mode Of Selection And More. Mode Of Examination/Selection Process →Written Exam/Viva Voce. Last Date For Online Application Form Submission →16th Of May, 2019. Now Apply For Manipur Judicial Service Grade I Recruitment 2019.